it's generally a massive chore for an adult to sit through a children's album, especially if you are a parent who is a voracious gormandizer of good music. However, like Pete Seeger, Johnny Cash, and Dan Zanes before her, Saugerties resident Bari Koral crafts tunes cute enough for the kiddies yet cool enough to keep Mommy and Daddy from going mad. 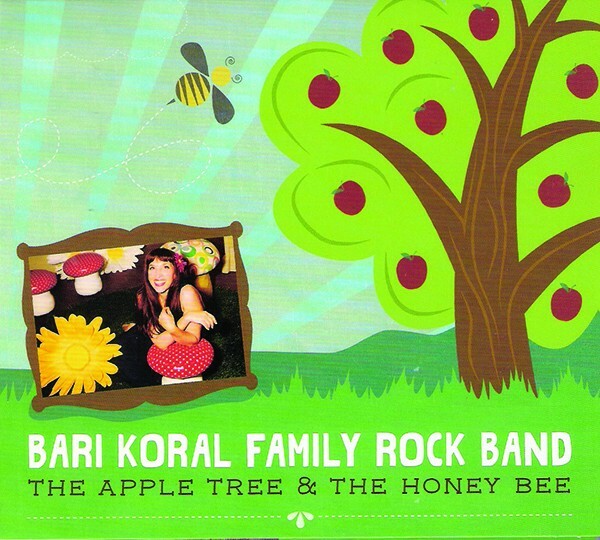 The Apple Tree & The Honey Bee is the fourth full-length from Koral's Family Rock Band, and an album perhaps most indicative of her roots on the college folk circuit. The album was recorded in Nashville with acclaimed producer Brad Jones, and, after one listen to adorably upbeat tunes like "Birthday," "Bee," and "Sisters & Brothers," one can easily recognize the watermark of the man associated with such notable alt-pop treasures as Matthew Sweet's Girlfriend, Yo La Tengo's Electr-O-Pura, and Josh Rouse's 1972. Elsewhere, the vibe of working in Music City, USA, can be heard in the twang of such tracks as "Big Truck" and "Yes & No." But don't take a critic's word on how good this album is for little and large ears alike. Just know that once The Apple Tree & The Honey Bee hits the speakers, any toddler within earshot of the stereo will begin dancing around immediately. Barikoral.com.